This is your new HAPPY place! 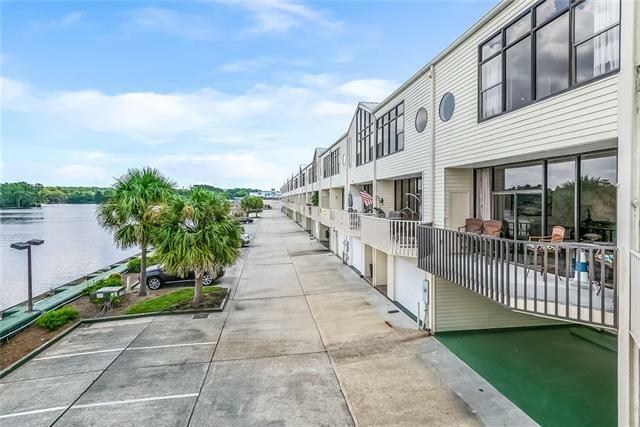 On the deep, scenic Tchefuncte River, your attached, private, covered boat slip is accessed off YOUR patio. 40' boat? No problem- a few slips from the end of the bldg., no tight spaces to navigate. Boating day? Guests can dock out front. Yard work? Not any more! It's QUIET, offers pool, tennis, clubhouse. Fully renovated w/ gourmet kitchen, luxurious baths, floor to ceiling panoramic views-River out front, Marina out back! Wow!Private retreat or entertainer's dream, this is it. Listing provided courtesy of Dollie G Deroche of Real Estate Resource Group Llc.